As a business owner I’m often required to interview candidates for positions in either our consulting group or our sales team. While I love meeting new people, I can’t say that running those interviews is one of my favorite responsibilities. Nonetheless over the years I have developed certain questions that I ask anyone seeking a position in one of those two important departments. The response to one particular question often reinforces my opinion of the suitability of a given applicant for our company. I’ve heard any number of answers but (at the risk of giving away the key to a successful interview) the answer I’m looking for is “being a good listener”. When you think about it any consultant must truly understand the nature of the business problem and the goals set forth by a company to deliver real value. To gain that understanding requires asking good questions and really listening to the answers. I firmly believe that the best salespeople also share that skill and use it to insure that the products or services they are selling fully meet the needs of the buyer. And in my opinion you do your best listening when you are face to face. After all some communication is nonverbal. Come on folks, we all know we “listen” with our eyes too. So I’m not a big fan of email and texting to share important information. Those are the modern equivalent of the tin can and string above. 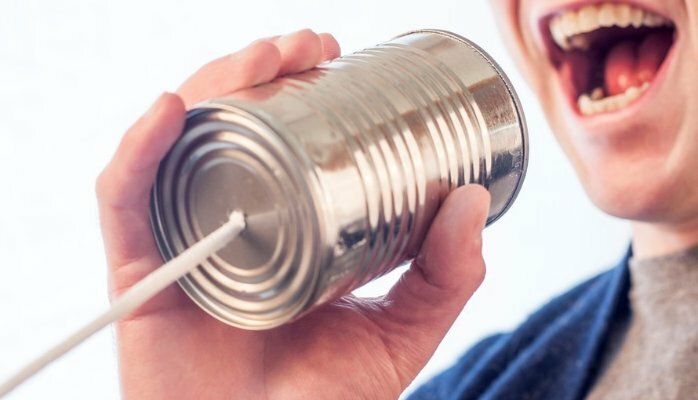 If you are interested in hearing a bit more about the importance of listening as it relates to business, you might want to visit our blog below. We’re listening! Click to read more about how we do information systems the ACUMEN way.